One way of trying to understand and appreciate works of art is by means of formal analysis, that is by looking at them not in terms of subject matter or technique, but in terms of purely formal concepts. 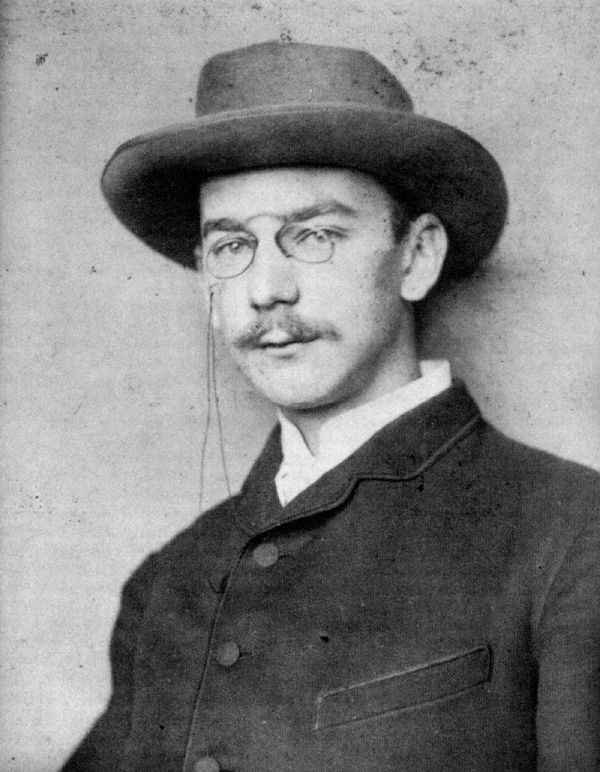 One of the most successful attempts was made by Heinrich Wölfflin in his book Principles or Art History The Problem of the Development of Style in Later Art (1915). Through a careful study of Renaissance (late 15th- and early 16th-century) and Baroque (17th-century) works of art, Wölfflin distilled a number of principles, which he arranged in five pairs, which helped him characterize the differences between the styles of the two periods. The great value of Wölfflin's work is that he provides us with relatively objective and impartial categories, constituting a system within which we can articulate some of our observations regarding Baroque art - which may otherwise remain very general and imprecise. It is important to remember, though, that the pairs of categories he proposes are comparative, not absolute. The division into categories is only for the purposes of analysis. In contrast, in a painterly painting, the figures are not evenly illuminated but are fused together, seen in a strong light which comes from one direction and reveals some things while it obscures others. Contours are lost in shadow, swift brush-strokes bind separate parts together rather than isolating them from one another. Some figures are barely visible. Planar means that the elements of the painting are arranged on a series of planes parallel to the picture plane. In the Raphael, for example, the first plane is given by the small step in front. The next plane coincides with the front of the platform of the Madonna's throne, in line with the saint on the right. 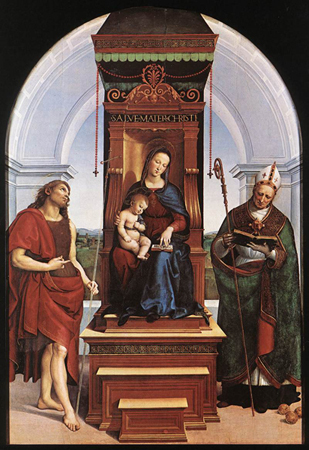 The saint on the left is in line with the front edge of the next step back, while beyond is the plane of the rear of the throne. All these planes are parallel. Raphael’s planar composition is different from the recessional construction of Guercino’s painting in which the composition is dominated by figures placed at an angle to the picture plane and receding into depth. The figures move back from the front plane, starting with the man on the right, who directs our attention towards the woman on the left, and towards Christ, a little further back. The other figures are recessed along diagonals behind. In the closed form of the Renaissance painting, all the figures are balanced within the frame of the picture. The composition is based on verticals and horizontals that echo the form of the frame and its delimiting function. The saints at the sides close off the picture with strong vertical accents, reinforced by the vertical accent of the throne in the centre. Horizontal accents are provided by the steps of the throne and the horizontal canopy over the throne. The picture is self-contained. The closed form conveys an impression of stability and balance and there is a tendency towards a symmetrical arrangement (though this, of course, is not rigid). In the open form of the Baroque painting vigorous diagonals contrast with the verticals and horizontals of the frame. Diagonal lines not only play on the surface of the picture, but move back into depth. Figures are not simply contained within the frame, but are cut off by it at the sides. There is a feeling of space beyond the edges of the picture. The composition is dynamic rather than static; it suggests movement and is full of momentary effects, as opposed to the tranquil repose of the Renaissance painting. A pair a terms which is most obviously relative, for all great works are unified in one way or another. What Wölfflin means here is that the Renaissance painting is made up of distinct parts (multiplicity), each one sculpturally rounded in its own right, each one clearly filled with its own single local colour, while the unity of the Baroque picture is much more thoroughgoing, largely achieved by means of the strong, directed light. In Guercino's painting all the units - and there are many of them - are welded into a single whole; none of them could be isolated. Colours blend and mingle, and their appearance depends largely on how the light strikes them. For instance, the colour of Christ's cloak is visible only in parts, others being in dark shadow. This is much less true of the cloak of the siant on the right in Raphael's painting. The even, diffused light in the Renaissance painting helps to isolate elements so that a multiplicity of independent units can be balanced against one another. More or less self-explanatory, given the above categories. For Wölfflin, absolute clarity is arrived at through representing things as they are, taken singly, while relative clarity is the result of representing things as they look, seen as a whole. 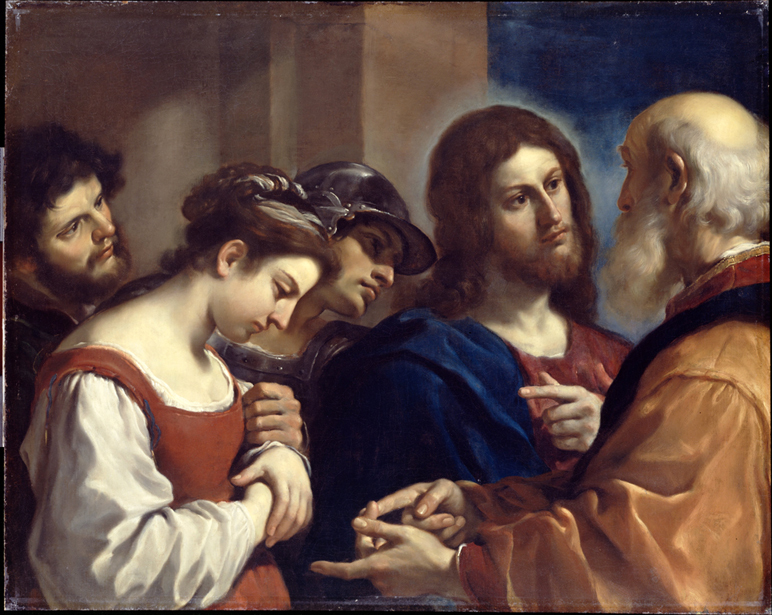 While for Raphael the ideal was perfect clarity in the depiction of subject matter, for Guercino this was less important and the explicitness of subject is not the sole aim. Whereas for Raphael, composition, light, and colour served merely to define form, for Guercino these same elements are given a life of their own. The various characteristics that Wölfflin attributed to Renaissance painting are interrelated: diffused light makes for clear outlines, sculptural modelling, isolated elements and distinct local colours, and an overall clarity of representation. Similarly in Baroque painting, strong unidirectional light accentuates the unity arising from the continuous character of the diagonals cutting across the surface and back into depth, blends the forms, moderates the local colours, and produces relative clarity of representation. It should also be remarked that Wölfflin's categories, as Martin points out (Baroque, p. 26), have certain limitations. Wölfflin treated 16th-century art as an artistic whole, making no distinction between High Renaissance and Mannerism. Wölfflin was interested in form rather than meaning. Wölfflin's conception of a unified Baroque style was only arrived at by neglecting such artists as Poussin. Consider Martin's attempt to define the essential characteristics of Baroque art in terms of Naturalism and Psychology ("the passions of the soul"), and the particular interest in and representation of Space, Time, and Light.